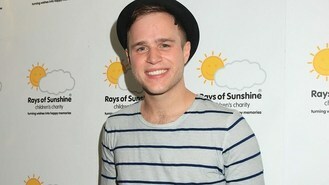 The X Factor runner-up also fancies collaborating with pop-ska band Madness, because both are his musical inspirations. "I'd do a duet with Stevie Wonder or Madness. They are two of my favourite artists of all time so it would be them two," he said. "I don't think Stevie Wonder will know who I am, but I would love to do something with Stevie if he ever wanted to do a duet with me. I don't even think Madness would want to do a duet with me!" Olly, whose performance at MTV Presents Titanic Sounds will be shown on MTV UK on May 5, denied that there are confirmed plans to collaborate again with Rizzle Kicks, following their successful partnership on Heart Skips A Beat. "I got asked if I would do a song with the boys again and I said 'Yeah'. If the guys asked me to, I'd love to, but I think it all comes down to what songs they do and I'm sure there are other artists they'd like to work with as well," he continued. "We did the song, Heart Skips A Beat, together and it went down really well. Sometimes you've done one duet and there's no point doing it again." He added: "It's been a huge success and in the future, who knows? We might do another song together, we'll see."